Joshua has the ability or skill to make me laugh. His ability or power to make funny faces and to remember every joke he has ever heard is like nothing I have ever known. Once he starts making faces, I do not have the ability or am not able to stop laughing. At that point, the only ability I have or thing I can do is roll on the floor and hold onto my stomach! Quiz: Try again! What is an ability? It is something that makes people laugh. It is the power of remembering almost everything. It is something that someone can do. An ability that you have is something that you can do, such as swim or fly a plane. Able More Than Bitty If you have an ability to do something, you are not just able to do it a little bitty bit, but quite a lot! If someone has the ability to do something, he possesses the quality of being “handy” at it. 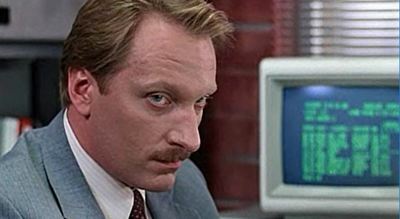 Ferris Bueller's Day Off Ferris limits the principal's ability to rule the school.